Marcelo Bielsa's 3-3-1-3 failed in 2002, can he make up for it in 2010? Judge Chile by looking at their squad list and you might be rather underwhelmed, but many of those who saw Marcelo Bielsa’s side in action throughout qualification see them as the most intriguing prospect on offer in South Africa. Bielsa is the most fascinating of the 32 managers at this World Cup – if you are not aware of his characteristics, further reading is certainly required. Marcelo Mora y Araujo’s column for the Guardian describes him when he took over as manager, Rodrigo Orihuela at When Saturday Comes touches upon some of his off-field eccentricities, and Tim Vickery has often spoken of his excitement about Chile under Bielsa. He is a tactical obsessive, an innovator and a character, and he has done a remarkable job with Chile, a country whose only real star player – David Pizarro – gave up playing international football years ago. Chile’s standard formation is a 3-3-1-3, similar to the one Bielsa used throughout his period at Argentina boss – where the shape was very successful in qualifying, but failed in the World Cup in 2002 when Argentina were eliminated from the first round despite being favourites. Various suggestions have been put forward for why it went wrong – the inability of the players to operate at the physical level needed (with little rest after the domestic season, and with the warm climate in South Korea), a lack of natural wingers, a striker who was not comfortable switching positions with other players, and Juan Veron being played in a position too far forward. It’s a bit of a simplistic cliché, but after that failure Bielsa has unfinished business at the World Cup. Chile’s performance since he took over as manager has been sensational; when Bielsa lead Argentina to top spot in the qualification for 2002, Chile finished dead last – ten out of ten. Four years later they improved slightly, to seventh. But this time, under Bielsa’s stewardship, they finished in second place, an incredible achievement considering the relative lack of talent and resources he was afforded. Bielsa’s 3-3-1-3 is an inherently attacking formation that aims to take the game to Chile’s opponents, press and defend high up the pitch, and stretch the play as wide as possible when in possession. His back three and the holding midfielder are essentially the four defensive-minded players, whilst the two wing-backs surge forward whenever possible, trying to create overloads against opposition full-backs, and also venturing into more central attacking positions to provide a goal threat. Bielsa never changes his favoured un enganche y tres punta (one playmaker and three fowards) system. The forward trio stretch the opposition defence – the wingers start from very wide positions and open up gaps that are exploited by Humberto Suazo, the centre-forward (if fit), and the enganche, Fernandez. For such an unusual formation and such a specific style of play, the most surprising thing about Bielsa’s team selections is that he has found various players who fit into the system seamlessly, especially in defence. Of the players who play in the six positions closest to Chile’s goal, none of them started more than 12 of the 18 qualification games. Bielsa is happy to chop and change between games and to deploy individuals in a variety of positions. Arturo Vidal, for example, has been deployed as a right-sided centre-back, a holding midfielder, a left-wing-back, a right-wing back, and a right-back when Chile switched to 4-2-3-1 (when up against one striker). He’s also happy to play nominal midfielders, like Jara, in the defence. The comments section on this website often features great insights about individual sides’ tactics from those who follow particular teams or competitions closely, and Bielsa’s Chile side has been discussed in great depth. Here’s two particularly enlightening comments, first from Roberticus, who runs a terrific blog about South American football, and then from Mave, a Chilean. I’m certainly a long-term admirer of Bielsa’s philosophy and of his teams’ pro-active approach. I’ve tried to keep as close an eye as possible on Chile’s World Cup qualification games, their players’ individual fortunes at club level both domestic and abroad, and also followed the debates in the Chilean media. 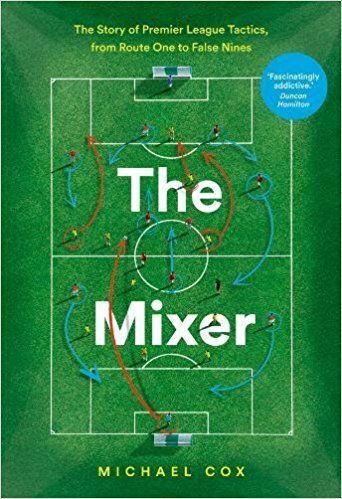 In terms of how the midfield shapes up; it is generally laid out as a diamond and is never flat, which means that the wide-of-centre players do not necessarily have to be wide midfielders or wing-backs, though some indeed are. Overall, I think Bielsa likes to have a mix – and so, beside the obvious presence of a holding player (either Gary Medel of Boca Juniors or Pedro Carmona), it is common to see a wing-back/wide-midfielder on one side whilst a more well-rounded midfield player can take the other flank. The idea here being that the playmaking duties will not be the exclusive preserve of the No.10 (Mati Fernandez or Carlos Valdivia) lest that guy’s creativity be stifled by close marking. So the wide players can indeed push out to support the outside-forwards and of course to assist the outside centre-backs in the three-man defence when the opponent is raiding down that particular flank. “I’m from Chile and I’m very impressed with Bielsa’s work. We’re happy to qualify for the World Cup with such a proactive game and we hope to give a good display. I think this is a unique moment for Chilean football, so I must admit that I’m kind of eager to see them perform in South Africa. The formation changes so quickly and so significantly because there are a lot of players that can play two or even three positions in that scheme. Bielsa rarely uses pure defenders in the back line. He mostly uses defensive midfielders on that position for two reasons: (a) They are quick on covering defensive positions and (b) because they can pass the ball better through the rival attackers, and can assume advanced positions. The most notable players who do this are Gary Medel, Arturo Vidal and Marco Estrada. That’s pretty much ZM’s job done! Bielsa’s insistence that Chile press high up the pitch and their consequent high defensive line means that they can often be caught out on the counter-attack. Despite their impressive qualification form, they were sometimes opened up too easily, and the questionable form (and fitness) of their back three is a cause for concern. Chile are the most unique side in the competition, and as result it’s difficult to predict their performance. They should start with a comfortable win against Honduras, and then the second game against Switzerland will be a tremendous battle, with two vastly different styles. It’s not unthinkable that Chile could win the group if Spain ease off in their last game having already qualified – although this is perhaps unlikely seeing as they will be keen to avoid the winners of group G, likely to be Brazil. Whatever happens, it will produce an interesting result tactically. In a month’s time, we’ll either be in awe of Bielsa’s work, or we’ll be questioning why his system works so well in the South American qualifiers, but not at the World Cup. Yeah that was strange as hell indeed, he surely is trying to keep a low profile and so far has done very well. Hitzfeld (genius on club level) might be in for a surprise – can’t wait for that match up. Two masters! Btw, really liked those links you posted, especially Marcela Mora y Arauj piece from 2007. Barrios had an amazing season for Dortmund. I had him in my fantasy team and sold him come game 7 of the season as he wasn’t doing well at all. Thank you ZM. Its a laughable apology. You are doing really really good. Thank you. I am really waiting to see Chile under Bielsa. I have read about all his tactical obsession and even your diagram above is looking very interesting. ZM, you have the best football website I know of. Thank you so much for the great articles. I think my footballing knowledge has increase tenfold since a friend told me of this fantastic blog. 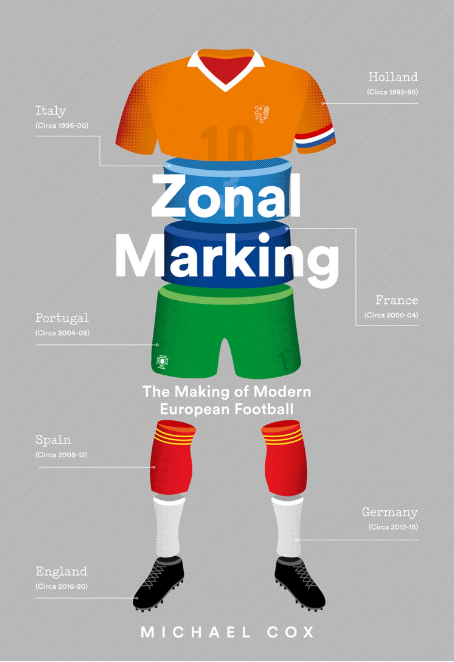 THANK YOU ZONALMARKING!! Two is one day? “El Loco” indeed. I haven’t been able to see this team play yet, but after reading so much about them I can’t wait. Nice piece as always. Also, I’ve been thinking about your piece on center-halves moving in and out of the back line, and sometimes wonder about having 1 true center back and 2 center-halves (as you’ve described them) moving in and out of the back line with more conventional attacking fullbacks or wingbacks out wide. It might wreak havoc on a side trying to press high – could be we’ll some of that with Bielsa’s squad selection and tactics. Chile indeed should be very exciting, in qualifying Sanchez really impressed me. Hope they go far. It is quite possible that Pablo Contreras will be in the 1st eleven instead of Medel. It should be noted that, should Chile be in a position to win their group against Spain in the final group match, they too will want to avoid drawing Brazil, a team which they lost to 4-2 away and 3-0 at home during the qualifiers. Or maybe the third time’s the charm? I really enjoyed watching Chile in the qualifiers too — they were so dynamic it was hard to keep track of what was going on. If I felt that as a viewer, imagine how the opposition felt. But they got really screwed by the draw. If Spain don’t screw up, they’re going to play Brazil in the second round, and then it’s good night. In the qualifiers, they lost 7-2 on aggregate, and I don’t any have reason to believe that will change. Their best hope is that they either beat Spain (less likely) or draw Spain and top the group on goal difference (more likely), and then get the Ivory Coast/Portugal/North Korea. ZM, you’ve done it again, can’t wait to watch them in action. Q: In the video, correct me if I’m wrong, the passing is Villar to Matias Fernandez to Villar to Matias. And if so, who is the 4th man ahead of them and what position does he normally take up? There are 2 central and 2 wide plus a late runner to the left of Villar. It’s Leverkusen player Arturo Vidal who throws the ball to Matias. In that particular game, Vidal was the right-midfielder and Fernandez the “enganche”. Sometimes players peak at the wrong moments and sometimes managers “peak” (are selected to manage) at the wrong time. I think that the great irony is that were Bielsa to be managing the current Argentina squad, what with its plethora of attacking talent (and Bielsa on speaking terms with Riquelme), Argentina could be a truly amazing spectacle and win the WC in style (or like the Netherlands be breath-taking in attack and weak in defence…). Instead we have Bielsa making gold out of Chilean hay (with no offence to the Chileans intended) and Maradona making hay out of Argentinian oro. my apologies for the error( and not ZM’s)on Valdivia’s first name. What is even more embarrassing is the fact that Jorge Valdivia is probably the most widely-known Chilean footballer in Brazil where I followed him playing for Palmeiras, so no disrespect intended towards a fine footballer. I have to disagree about the assertion that Chile has no star players. Chupete Suazo is a wonderful, if underappreciated player who will make his mark and Alexis Sanchez will be one of the best footballers in Europe once he moves to a bigger team. The stars are there and shining, now it’s time for people to see them. Totally correct, but I think the point is rather that there aren’t very many famous players in the side – even Paraguay has Santa Cruz, Uruguay has Forlan. Even some big football fans in Europe won’t have heard of any of these players. Yeah they are all too young yet. alot of them are moving to bigger clubs. Ferguson wants sanchez for 30 million medel is going to sevilla isla to roma pinilla at parma. Suazo well depends how zaragoza do i have faith in them.most of them are from the u 21 world cup. They just aren’t known worldwide, quality players sure, and their reputations could gain a massive boost over the next couple weeks. Let’s hope so, Chile is one of the most exciting sides in my eyes and I’m hoping they have enough matches to show the world their style. Haven’t seen Chile play this cycle, but I did watch the Argentina v Mexico friendly at Soldier Field in Chicago in the runup to the ‘02 tournament when Bielsa was at the helm. A 9-years younger Javier Zanetti took the Vidal role in that game, and he looked absolutely awesome in this system, running the touchline like a banshee, cutting in to get balls centrally, and just generally dominating on the left side. It was a sight to behold. i am impressed more every time i read this website…i have been recommending this website to all who i think love football. never have i read a more insightful, thorough and deep analysis of games and teams. the fact that you read through the comments of the readers and acknowledge them the way you do is really something to be proud of. Keep up the good work. One of my favourite teams ever is the Ajax side from 1995 managed by the genius Louis van Gaal, I seem to remember reading or hearing that Bielsa was a fan of van Gaal and you can definitely see similarities between that team and Bielsa’s sides. at the expense of sounding naive, why doesn’t bielsa play jorge valdivia & mati fernandez in the same line-up? i would imagine valdivia could function as one of the coach’s “tres puntas.” i don’t doubt the impact the ex-palmeiras player has off the bench, though. Bielsa thinks that only can be one mediapunta… He has tried to play with Valdivia as center-forward and Matias as the classic-10, but they have struggled. Even more, I might be wrong here, but I think that every time that they have played together for the Chilean squad, the have never won a match. This is because of the tactical system. Back in the days (2006 to be more precise) Matias and Valdivia played together in Colo-Colo with Borghi as head coach (now in Boca Juniors) and they were the most prolific and dynamic duo in the league. The difference was that they only use one attacker: Chupete Suazo. It keeps competition in the team for the playmaking position. Matias is more complete as a player in freekicks striking etc etc But valdivias creativity is amazing and thats what he does best. his passing is the most beautiful i have ever seen . He provides the killer passes better than mati gol. Just a side note. Matias may be going to Boca juniors under borgi again. He should flourish under him. It is the rediscovery of The Pyramid. Does anyone else appreciate the irony that the most tactically interesting team in the world game is the one that plays a variant closest to the first ever formation? I picked Chile up after qualification as my team to follow and support at the tournament. I think that Chile have a pretty good chance of the second round but Brazil might just be too much in the next round. Humberto Suazo comes from a pretty impressive season at Zaragoza and is just a lovely guy, but a lot will depend also on Mati Fernandez who didn’t have the best of years at Villareal. The form of some key players might be the one thing most worrying for Chile, but still, the good thing about Bielsa is that most positions are doubled up in quality and the subs happen seamlessly. The difference in quality between the nominated defenders isn’t that much and the work he has done so far and the fact that the players should be fresh, speaks for them. this is some hella-prolific writing you’ve been doing in the space of 1-2 days! Thanks indeed for the kind recommendation. I submit at this stage that I am a completely unabashed ideologue who hopes that Bielsa and Chile will strike a blow for adventurous football during this tournament, as long as they don’t eliminate Spain in the process! How do they look defensively? I imagine playing three at the back against any team with one conventional forward will be risky, how do you think they plan to combat that? Can you see them reverting to four at the back for any reason? This article certainly got me intrigued into seeing them play, looking forward to it. Yeah, the forward line is already “x-x-1-3″. Against two strikers it is 3-3-1-3, so a spare centre-back. Against one striker/three forwards it’s 4-2-1-3, again keeping a spare centre-back. Seems similar to the approach of Rehhagel with Greece. Yes, that is exactly the approach that Bielsa takes; having only one more defender than the opposition has forwards. Even so, I think it’s worthwhile to emphasis that even when facing only one forward (of any description) Bielsa’s back four isn’t really a four as such since he will only field an orthodox back four when up against a side who also play with a front trio; he instructs both full-backs to advance into midfield and perform as wing-backs, thus only keeping two at the back (plus Carmona screening ahead of them), much like Van Gaal used to do during his first tenure at Barca (‘97-2000). Bielsa tries to achieve this by moving Medel (the heartbeat of the side) to a secondary anchor role and fielding a more offensive wing-back such as Mauricio Isla. However, I have also seen some Chile games where they lined up in the standard 3-3-1-3 only to find themselves surprised by the opponents switching to a one-forward system. Bielsa’s solution? Simply tells one of the wide defenders in the three (usually Medel) to venture forward like a standard full-back. I’m really excited to see how Chile does, but the most worrying aspect of their team is their height. They’ve got exactly one defender at 6′0″, so they look to be vulnerable against teams that can get down the wings and put good crosses in. Switzerland should be looking to do that. Great article. I’ve been waiting this for a long time and truly covered my expectations. I agree that will be very interesting watching the Chilean side throughout WC, especially the fact that there are great expectatives about Bielsa’s Tactics. However, I don’t think that the formation that Bielsa will use in the WC will be a 3-3-1-3. In fact, i think it would be a 4-2-1-3, such as the formation used against Brazil in the WCQ that is shown in Santapelota Blog. It doesn’t mean that Bielsa is changing his unique style of playing, but it means that he’s being more cautious at this level, considering the opponents and their characteristics. In the lasts training sessions, the line-up have been: Claudio Bravo (GK- Real Sociedad, Spain), as a right back, Gary Medel (he usually plays as a right midfielder in Boca Juniors, despite he has quite defending characteristics, but also pace to reach the oponnent last yards (you can see him in the chilean goal against Argentina in tne WCQ)). As CBs, Waldo Ponce (Universidad Católica) and Gonzalo Jara (West Bromwich Alvion). On the left, Arturo Vidal (he plays as a DM in Bayer Leverkusen, more as a pivot or box-to-box midfielder than destructive). As DM, plays Carlos Carmona (Reggina, Italy). Very close to him, on his right, has played Rodrigo Millar (Colo Colo. He is more like a pivot, and the responsible to begin the attack phases). The attacking Midfielder has been Jorge Valdivia (Al-Ain, UAE. He is a great player, very incissive with his deep passes to the wings or the centre-forward. His style is similar to Riquelme’s. Mati Fernández is not playing well now). As a left wing, Jean Beausejour (América, Mexico. He can either go back to help to iniciate the attack and reach deep the opponent pitch). The right wing has been Alexis Sánchez (Udinese, Italy. He is maybe the best player in Chilean Side). As a centre Forward, due to Humberto Suazo’s injury (he is expected to return for the match against Swiss), is playing Esteban Paredes (Colo Colo). As you can see, there are nominally 5 defensive and 5 ofensive players, however, the two side-backs can be either defensive and ofensive, so when attacking, Chile can add 7 players. Moreover, is really demonstrative how important is the versatility or flexibility of the players fos Bielsa. Well, I hope that Chile have an excellent WC, especially considering the happiness that this team can bring to all the people that suffered the earthquake last february. I wanted to write about this during the day but have been working hard all day. Glad somebody did this before me. Chile will effectively play a 4-2-1-3 formation. My concerns are on the full-backs. On the right full-back position, Medel seems to be more of a defensive choice since he certainly has the pace but not the passing skills, nor is he used to playing close to the line (in the goal against Argentina he was playing as a right center-back in a 3-man defense, not a full-buck). Moreover, this is a way to keep the excellent Medel in the starting line-up while moving him off the center-back (his other potential role) where he’s very short height is a problem. This right full-back place could be covered by Vidal or Isla who are more used to it. On the left back, it looks that this place will be covered by Vidal or Jara, both right-footed, since the only actual left full-back that played through the qualifyers (Roberto Cereceda) ended up off the list. This leaves Chile with two full-backs with limited projection capacity. Furthermore, in the absence of a left-footed left full-back Chile has played a left-footed mixed midfielder (Estrada, Tello or Beausejour) next to the holding midfielder, whos has been in charge of doubling with the left winger. This mixed midfielder role looks to be filled by the right-footed Millar, leaving a weakened left side. Also notice the strict orders that Bielsa gives to his backs to NEVER clear the ball. Chile always tries to advance through passing, which has caused them many against goals (I remember 2 against Venezuela and 1 against Brazil). I really hope Chile is able to overcome this and lookout for Sánchez and Valdivia, two players set to make a difference in this WC. I understand your corcerns. Unfortunately, Chile squad is very unbalanced, they are really dynamic attacking, adding a lot of players on the opponent pitch, but quite weak and low-height in deffence. That’s why I think Bielsa decided to line up four-man defenders, instead his classical three-man. About Medel, I think he obtained the experience of playing by the right side, both as full back and midfielder. Moreover he is really short to play as defender, considering the height of the other teams forwards. On the other hand, having either Vidal and Medel as full backs, will allow one of them to take offensive roles depending the band of the attack, thus, if Chile attacks through the left band, Vidal will take a more offensive position close to Beausejour, and having Medel as a third defender, Millar would also go into forwards zones. Anyway, I don’t think that Medel will be an attacking full back such as Vidal, because having Millar (or eventually Isla) as a kind-of right midfielder, would not be that necessary to Medel going forward. MAybe one of the reasons Bielsa left Cereceda out of the squad is that he only plays as left defender, covering solely the deffending possition, but he doesn’t have the pace to be a truly attack option for the left band such as Vidal, Estrada or Tello. Hi, Im from Brazil, and know something about Chile. David Pizarro is just one more player in the team, and the real star is Jorge Valdivia, who plays at Qatar. But he isnt in first team because he lost space two years ago, in Copa America, and Mati Fernandez lives a good moment. Valdivia is usually used as a centre forward, but his right position is more a playmaker. Take an eye in Jorge Valdivia! Suazo is a fantastic player, definitely Chile’s star. I don’t know why there isn’t that much interest for him in European clubs when he broke the Mexican league becoming champion, while coming out best-goalscorer in the South American qualifiers, competing with Messi, Higuain, Luis Fabiano, Forlan, Kaká; and Chicharito Hernandez was picked up by Manchester United almost immediately after he broke the Mexican league… Suazo may be a little expensive but he’s worth it. Hi, I’m brazilian and saw a few matches of this chilean side over the qualification. Gary Medel is a “pitbull” kind of a player, never giving up the battles, could be compared to Gattuso, although he is too short to play on his own area. Jorge Valdivia, nicknamed “Wizard” for his intelligence, may be the first choice to be the enganche. Personally, i prefer him over Mati Fernandez, he’s more creative on the ball. He played fantastically with Palmeiras before joining Al-Ain. Humebrto Suazo is a great striker, tough to mark physically, but that’s the general concern: will he be fit? On the bench Bielsa has Gonzalo Fierro, who plays for Flamengo. He isn’t credited much around here, being on the bench for his team, but i think he’s good. He actually doesn’t fit on Flamengo’s system, being deployed in a holding role. But, for Chile, he fits just about right, playing in wide positions. But the same thing that I love about Bielsa may be the reason for Chile’s possible failure. I saw both games against Brazil, both of them were brazilian victories. Playing away, they managed to make Brazil kinda scared, but lost 4×2. In Santiago was a trashing 3-0 for Brazil, because Bielsa were to convinced that his system was going to work. That’s the problem: this team doesn’t know how to play the big teams, they open up to much space, and for excellent player like Robinho, Luis Fabiano, Nilmar or the Spanish squad, it may be fatal. But still, it’s a good prospect for Chile. I think they can outplay Switzerland and qualify in 2nd in the Group H.
Bielsa’s Chile played like Arsenal during qualifying – great passing, well-distributed scoring. I think Chile could pip Spain to the top spot in their group, especially since La Furia Roja seems to be peaking early once again (6-0 against Poland?!?). What a great web-site. Anyhoo — I watched Chile a bit in qualification and the team they reminded me of was Denmark ‘86 in terms of movement. They don’t have a genius like Laudrup but they attack at pace and from all angles. The Swiss game is crucial and we can probably expect a bit of aerial bombardment if Hitzfeld sees this as a weakness. Senderos however will hopefully struggle against such a nimble attack. Can’t wait! All south American countries have good players. Argentina and Brazil usually dominated because of the international recognition they’ve gained and its benefit to the youth. On top of that Argentina and brazil had organized football associations. Paraguay urguay and chile didnt colombia still dont. That is the difference really. Chile are in a Renaissance of football. The average age is 22 they have plenty of players that are talented. Alexis sanchez who manchester united offered 30 million pounds for . Medel who is going to sevilla a grand idol of boca juniors. Matias fernandez South american player of 2006. Jorge Valdivia the best Player in the Brazilian league and best midfielder of the Brazilian league in 2008. Suazo Goal scoring machine. Best player in MExico in 2009 top goal scorer in the world in 2006. Basically saved zaragoza from relegation. Mauricio isla who will be moving to Roma after the world cup. Everything has been coming together for chile . The right resources, coach, facilities , association president and the emergence of talent. It isnt solely attributed to Bielsa although he is a great job. bielsa wouldnt of taken the job otherwise if Chile were lacking talent so badly as you make out in the article.